Sometimes the first step to losing weight and getting healthy starts with removing all temptation. That’s how it started for Alexis Gardner, a software engineer who lives in New York and in 1.5 years lost 100 pounds* with the help of Diet-to-Go and fitness. 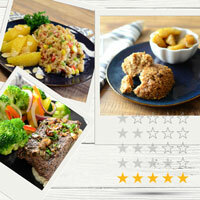 Diet-to-Go’s Carb30 menu does it all for you. 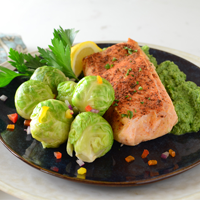 We make sure you get the proper balance of leafy green vegetables and protein-packed meats with tasty meals that will make it easy to stay on-track. 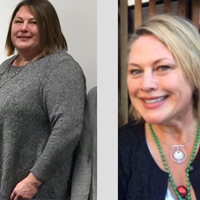 In 2017, Cathrine Shinn lost 100 pounds using Diet-to-Go*. 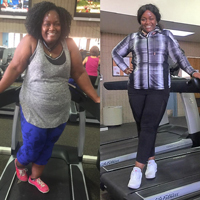 We’re following her story through 2018 as she continues to lose weight and get healthy. If Cathrine can do it, so can you! You’ve fought hard to get where you are. It’s taken commitment, inner strength and a whole lot of grit. You deserve a reward — make it a wellness-themed vacation. Wellness vacations are vacations that center around your health and wellness through exercise and activity. They’re the perfect getaway to celebrate your newfound health — maybe even take it to the next level. 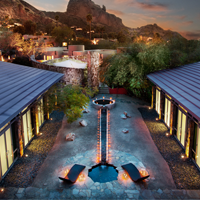 We’ve rounded up the best 9 wellness vacations you deserve to take (really). It is one thing to lose weight as an individual — it’s quite another when you get the entire family to do it. 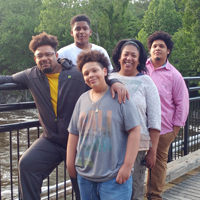 But that is exactly what 47-year-old Sandra Hardeman did with her three sons and husband one year ago, and, since then, the family has collectively lost more than 330 pounds. Intermittent Fasting: Is This a Diet Trend Worth Exploring? Every year, there’s some new diet craze that has everyone buzzing. For 2018, it seems to be “intermittent fasting." So what is it? Intermittent fasting is the idea that by cycling our bodies through strategic periods of starvation mode, it will help us lose weight. During the starvation-mode period, intermittent fasting requires that you eat almost no calories.Then, during the rest of the day, you'll consume all of the day’s calories. 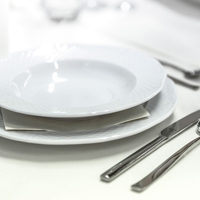 Intermittent fasting focuses on when to eat, and not necessarily what to eat. So is this trend worth trying? Let's find out. Personal trainers can play a big role in not only creating a personalized fitness plan, but also in helping you maximize your time at the gym and do so safely and effectively. 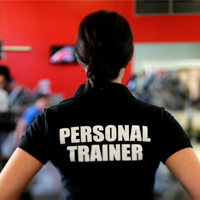 When choosing a personal trainer, you should keep in mind several considerations to ensure that you’re getting someone who will help you reach your goals. With that in mind, we rounded up the 7 things to look for in a personal trainer, qualities that are sure to help you learn how to make a lasting lifestyle change. 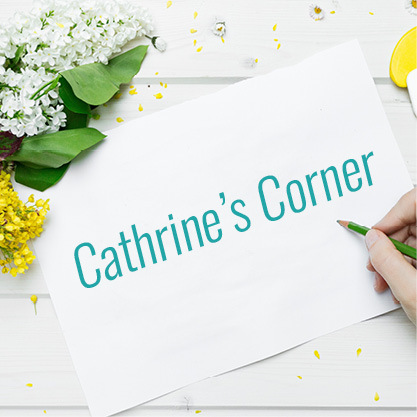 Cathrine S. used to be too embarrassed to go outside for a walk. She used to refuse to look at herself in the mirror. She used to be prediabetic. She used to weigh 331 pounds. 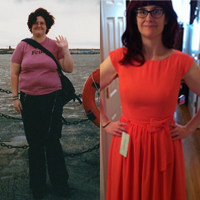 But today, shes down 100 pounds and no longer any of those things. January is a great time to reflect on the previous year. So we're taking a look at all the reviews and coverage Diet-to-Go has received in 2017 and adding it to our growing list of online expert commentary. See the highlights and click to view the full reviews! Health issues, lack of motivation and energy, fad diets and a general misery in life — these were all the things Sinora Glenn felt in December of 2016. But now, just over a year later, those are distant memories for Sinora. Sinora has lost a total of 60 pounds, more weight than she ever lost at once and weight that will never come back. And it all started with a phone call, one that would change Sinora’s life. Welcome to the New Year! If you’re like 41 percent of Americans, you’ve likely made some sort of resolution. Sadly, only 20 percent of those who make a New Year’s resolution actually keep it. So how do you become one of the few who sticks with it? Start by looking to those who have already been there, done that. We compiled a list of 13 Habits of Successful Resolutioners — the things real people say has helped them stay on-track and meet their new year’s goals. Good health, makes a great gift! Whether you have a loved one who makes the whole healthy living thing a way of life, or someone who really wants to lose weight and make a change, the holidays are the perfect opportunity to encourage wellness or help them take the first steps. 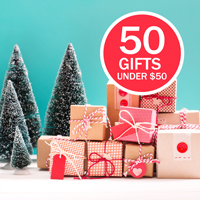 We put together 50 healthy-themed gifts that are priced at $50 or less, a laundry list of ideas for everyone from the fitness lover, to the cook, to the spa-lover and many, many more.You might even find something you want for yourself this year! 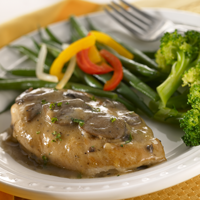 Many people give up on a weight-loss plan just a month or two after they’ve started. And many others gain back the weight they’ve lost. But it is possible to not only lose weight, but keep it off forever. How? Here are 9 daily habits of people who are successful losing weight — and keeping it off. Remember your 20s? Ah, the good old days when we could eat whatever we wanted and not gain a pound. So, what happened? The older we get, the easier (and more likely) we are to pack on extra pounds, even if we eat healthy and try to exercise. And the changes that take place in our bodies to set the stage for this, can happen as early as age 30! What?! Fear not! Read on to find out why it happens; and, even more importantly, how you can prevent it! The air is crisper, the leaves are changing color and there may even be a snowfall every once in awhile. That means one thing — autumn is in full swing, and those fall flavors of pumpkin, butternut squash, pear, cranberry and apple are fresh and ready for you to turn into delicious dishes. 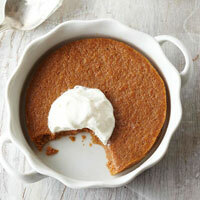 We rounded up 4 dinner and dessert pairings (8 recipes total) that literally taste like autumn on a plate. It wasn't too long ago in our human history when food served one simple purpose - to sustain life. Why, then, has food morphed into an obsession that has long ago passed the point of enjoyability, and instead turned into a problem? Why do we overeat? Why can’t we stop ourselves from chowing down junk food? Why are we so driven by our next meal? 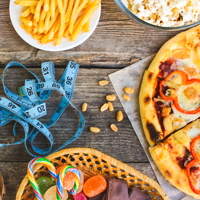 Here are 8 reasons, backed by science, that show why we often consume copious, unhealthy amounts of food — and how we can stop. October is here, and that means lots, and lots of candy. And whether you have kids or not, there’s a very high likelihood you’re going to encounter it this time of year. But before you pop those fun-size bars or miniature peanut butter cups into your mouth without a thought, consider what they mean for your overall goals. To put things into perspective, let's find out just how much exercise you’d have to put in to burn off those teeny weenie bars of seemingly insignificant extra calories. Dieting has a long, strong history dating back hundreds of years. 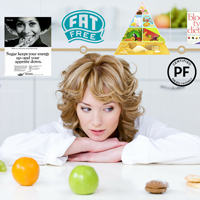 From the cigarette and liquid diets, to weight-loss pills, low carb, and everything in between, the history of diets is a rich one that sometimes focused on overall wellness, often times was a knee-jerk response that failed to deliver long-term results, and a few times was even downright dangerous. Take a quick journey through time to discover which fads were duds and which might be ripe for a post-millennial reprise. Selena's social media accounts are filled with healthy meals and recipes, so much so that she’s become a go-to source among her friends who want to eat right and lose weight. But it wasn’t always that way. Rewind 4 years ago. Selena had struggled with weight before, during her elementary school years, but it had never been quite so bad. 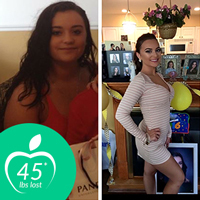 At 5 feet, 2 inches tall, she weighed 175 pounds and felt unhealthy and unhappy. She decided it was time for a change. A new report from Gallup-Healthways sheds light on the status of diabetes in the United States — and the news is unsettling. Today, 2.5 million more people in the country have diabetes than in 2008. Luckily, there are ways to combat diabetes. 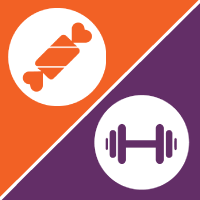 One, is by achieving and maintaining a healthy weight through a nutritious, balanced diet. And Diet-to-Go may help do just that with a meal plan that is specifically catered to people with pre- and Type 2 diabetes.